GIA Certified Diamonds, as well as AGS Certified Diamonds are lose, unset diamonds that have been certified by GIA (Gemological Institute of America) or AGS (American Gem Society). A certificate is a map of a diamond and tells you the diamond’s exact measurements and weight, in addition to the details of the diamond’s cut and quality. Identifying the unique characteristics of the stone, the certificates also serve as proof of the diamond’s identity. You only have to remember that an appraisal deals with the value of a diamond. Whereas, the certificate details the quality of a diamond. The Gemological Institute of America (GIA) and the American Gem Society (AGS) are the two most widely recognized diamond grading labs in the world, though there are many different labs worldwide. When talking diamond certificates, not all certificates carry the same acceptance from the diamond industry. When someone purchases a non GIA- or AGS- certified diamond, they should always check the lab giving the certificate and verify it’s reputable. It is common to find that different diamond grading labs have different standards, with some more forgiving than others, and do not grade diamonds with the strict guidelines as the GIA or AGS. At Gem and Loan, all our diamonds are GIA or AGS certified diamonds, as these labs have consistently demonstrated their commitment to high standards. 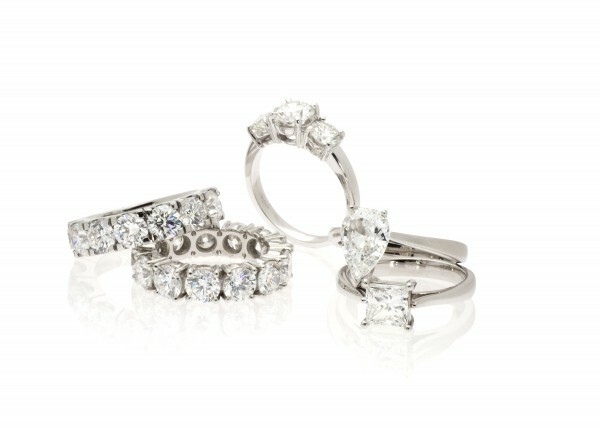 Buying a diamond that comes fully certified, gives you the satisfaction of knowing exactly what you have purchased. No guess work, as to the quality of the diamond. Reviewing a diamond’s certificate, allows you to compare one diamond with a particular weight and quality with other diamonds of similar weight and quality to determine which diamond is the better choice for you.